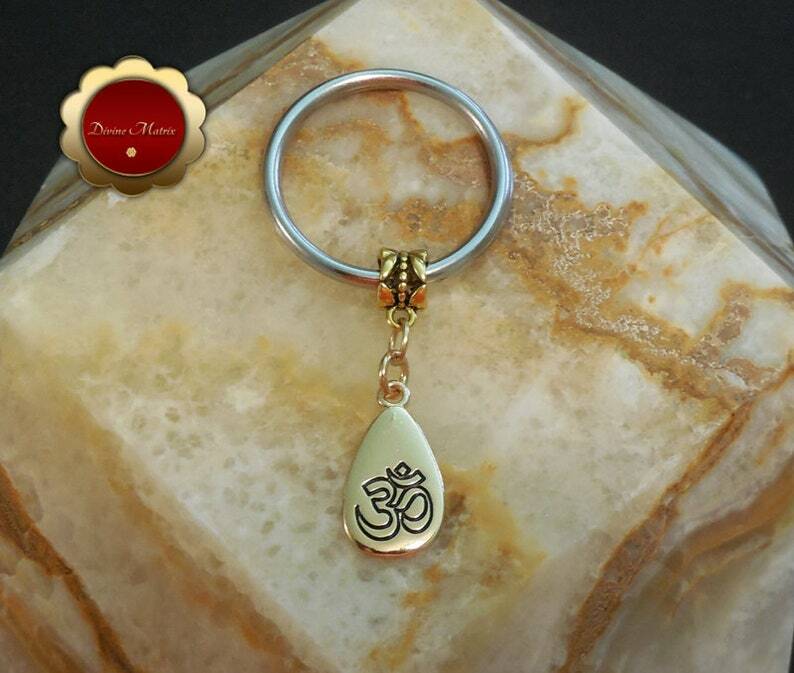 This is an antique gold om charm keychain with silver key ring. Om, symbolically embodies the divine energy, or Shakti, and its three main characteristics: creation, preservation, and liberation. The mantra, or vibration, derives from Hinduism and is considered to have high spiritual and creative power. This keychain would make a nice gift for someone special. The key ring is a nice 32mm in size. Zinc alloy and iron. Nickel and lead free. Metal. Charm 0.98" x 0.50" x 0.06"